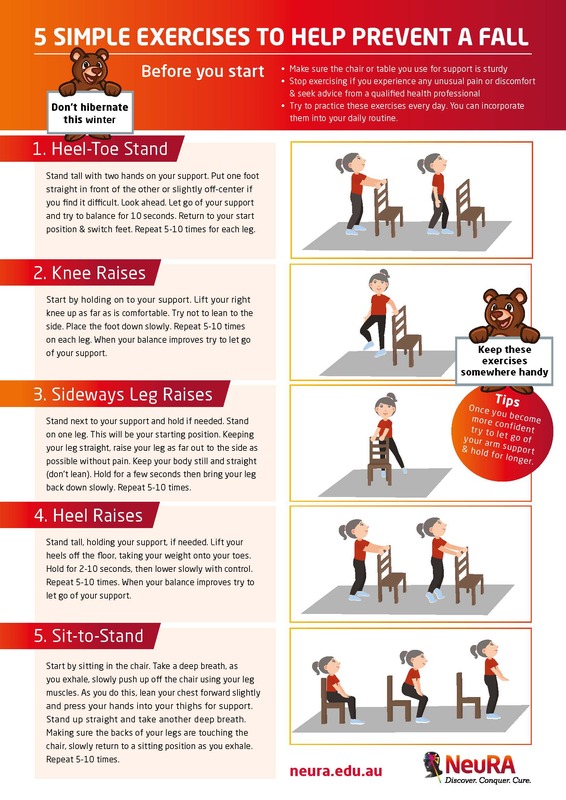 Neuroscience Research Australia (NeuRA) has developed a series of simple exercises to help older Australian’s maintain their balance and avoid falls in the comfort of their own home. The campaign highlights the increased risk of falls during the colder months as people aged 65 and over tend to stay inside more. According to researchers at NeuRA, reduced activity during cold months can lead to a deterioration in balance and an increased risk of falls as a person’s capacity to stand, move and exercise is impacted. Since then these figures have increased by 2.5 per cent each year. This series of balance exercises are particularly important during the colder months when people tend to be less active, the hours of daylight are shorter and the likelihood of vitamin D deficiency increases.